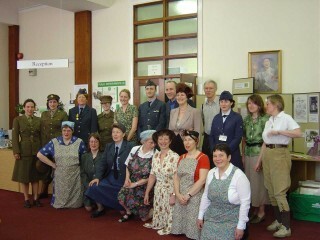 I remember how enthusiastically we all dressed up for one of our Hertfordshire Archives and Local Studies Open Days. For an event themed round the Second World War we managed to dress up in period costume and were all very authentic, right down to my “stocking seams” which were painted on with gravy browning. As it was a very hot day the lines tended to melt and blur by the afternoon, but I don’t think anyone noticed…….